SkyStar at Waterside is hosting a job fair, and they hope to hire 40 seasonal workers. NORFOLK, Va. (WVEC) -- SkyStar at Waterside is hosting a job fair, and they hope to hire 40 seasonal workers. The job fair is Wednesday, May 9th at the Blue Moon Taphouse from 2 p.m. to 6 p.m. Seasonal positions include porters, security, ticket agents, wheel operators, and loaders and unloaders. High school and college students are welcome to apply. READ MORE: Norfolk's Waterside District to get a Ferris wheel in May! Anyone attending the job fair should bring a few copies of their resume. The wheel will be 137 feet and 12 stories and will be located adjacent to the district, offering a new option for entertainment to every Waterside patron this summer. 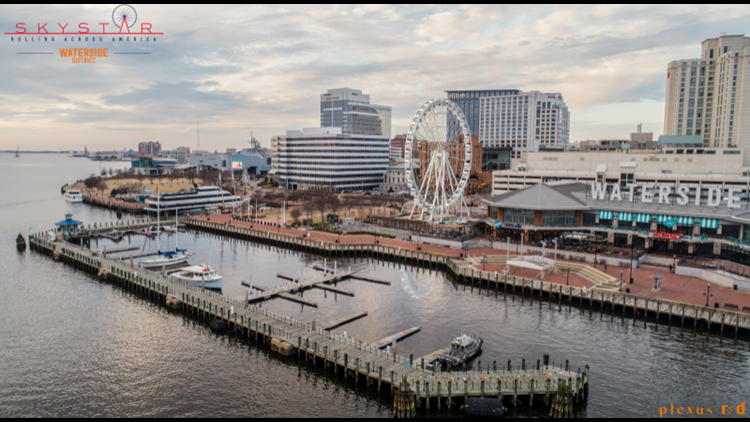 SkyStar is expected to feature 36-climate controlled private gondolas that will provide views of Downtown Norfolk and surrounding areas. More information about SkyStar, click here.